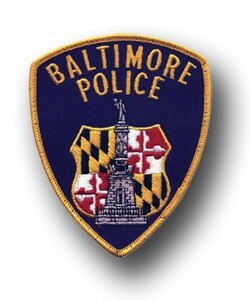 (Updated 4/22/2015) BALTIMORE (AP) — The six officers suspended in the investigation of a Black man who died after his arrest had worked on the police force anywhere from nearly two decades to three years, officials said. The officers were identified by city officials Tuesday. They have been suspended with pay while authorities investigate the death of Freddie Gray, who was handcuffed and placed in a transport van. At some point during his 30-minute ride in the van, his legs were shackled after an officer said he became “irate,” authorities have said. Gray rushed to the hospital in critical condition and died of a “significant spinal injury” on Sunday — a week after his arrest, Deputy Police Commissioner Jerry Rodriguez said Monday. 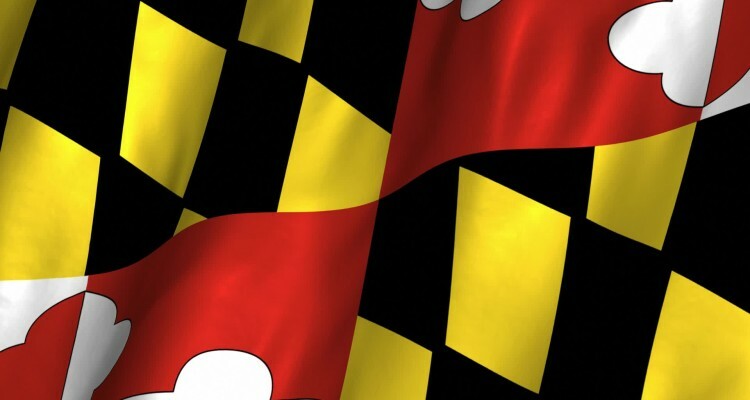 Gray, 25, was arrested on April 12 after police “made eye contact” with him and another man in an area known for drug activity, and the two men started running, authorities said. According to court documents, Officer Garrett Miller accused Gray of carrying a switchblade, which was discovered in Gray’s pocket after he was stopped. The lawyer for Gray’s family said he believes the police had no reason to stop him in the first place. — Lt. Brian Rice, 41, with the department since 1997. — Sgt. Alicia White, 30, with the department since 2010. — Officer Caesar Goodson, 45, who has been there since 1999. The officers’ specific roles in the arrest were not released. Bystander video shows officers on bicycles, in patrol cars and in the transport van. 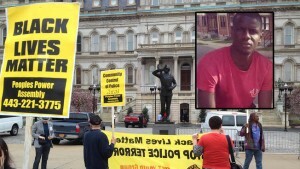 Gray’s death has prompted daily protests and a vigil was planned Tuesday evening at the spot where he was arrested. In the bystander video, Gray is screaming, but it’s not clear what he is saying. Police have also confirmed he asked for an inhaler and medical attention. Capt. Eric Kowalczyk, a department spokesman, said Batts met with all six officers involved in Grey’s arrest on Monday. The Baltimore Sun first reported the meeting. At a news conference Monday, officials vowed transparency and pledged to hold those found responsible accountable. Batts said the investigation will be completed by May 1 and the results will be sent to the state attorney’s office to determine whether criminal charges will be filed. 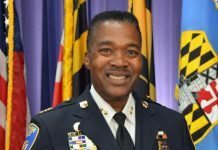 Batts also said he is ordering that police review and rewrite “effective immediately” its policies on moving prisoners and providing them with medical attention. Police on Monday released a more detailed timeline of how Gray was arrested and transported. It revealed that Gray was placed in leg irons after an officer felt he was becoming “irate” in the back of the transport van, and that the van made several stops on its way to the police station, even picking up another prisoner in an unrelated case, after Gray had asked for medical attention several times. The death comes six months after Baltimore officials released a plan to reduce police brutality and misconduct. 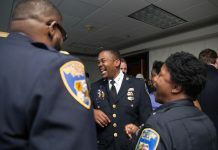 The plan followed a request by city officials to the U.S. Justice Department to review police policies and procedures. The Justice Department’s review should include a broader investigation of whether officers have committed civil rights violations, said the Rev. Cortly C.D. Witherspoon, president of the Baltimore chapter of the Southern Christian Leadership Conference. He said he plans to send a letter with that request by Wednesday.